My first trial on peacock swirl. I must admit that at first peacock swirl design seemed too wild for me, even psychedelic. But I signed up for the challenge mainly to try the technique and hoping to eventually embrace it. I had this same issue with the elemental swirl, that just seemed too unorderly and "overdesigned" in the beginning. 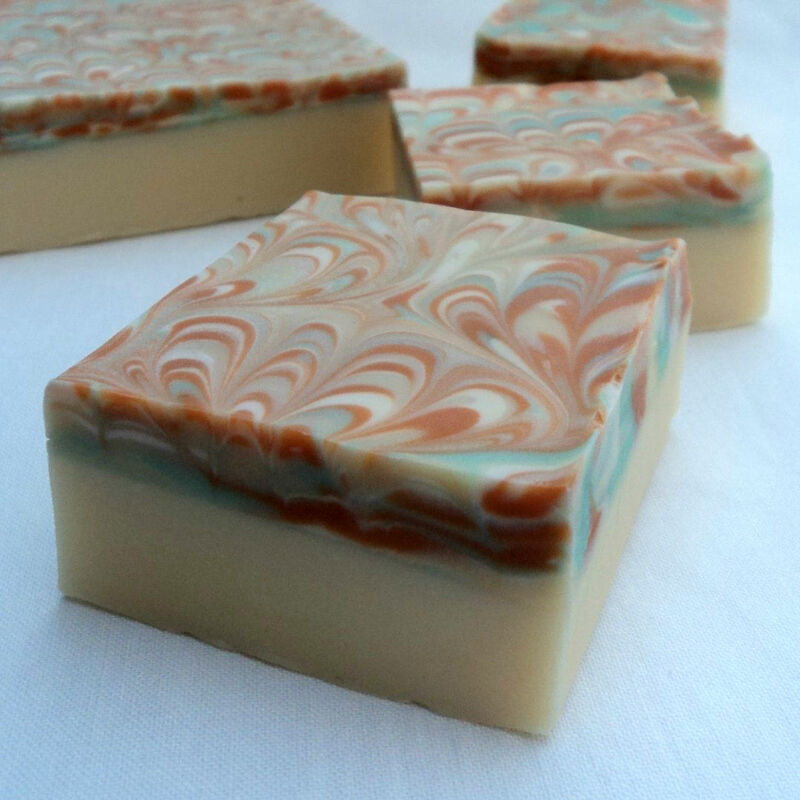 But after paticipating in Amy´s Challenge earlier this year and seeing all these painting-like soaps I now love the technique and the look! So let´s go! This time I started with the colour scheme, I wanted some 4-5 colours, nice contrasting but still decent. 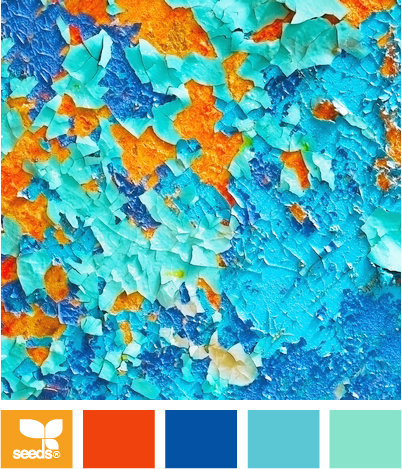 Maybe something like on this palette from design-seeds? Yes, that´s it. I had to order new pigments, so far I´ve been using just yellow, red and blue. This time I needed to get more green and turquoise shades. Creating the scent took me some time. I decided to base it on Baby Powder and Vanilla. To these soft and sweet tones I added a hint of fresh, crisp tones of Mint and Lime. Regarding the recipe, I like to work with hard oils and butters, room temperature. 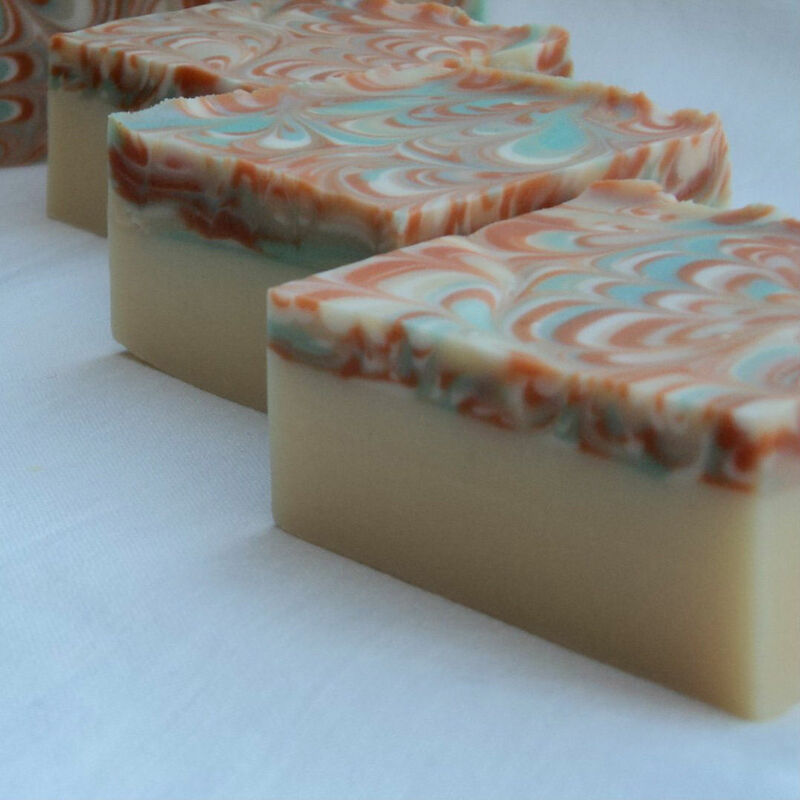 I used my recipe for "complicated" designs - it is based on lard, together with olive oil, coconut oil, shea butter and castor oil. Added also some buttemilk. This recipe generally works for me, and creates a nice creamy coloured base. The funny part was to get squeezing bottles. I couldn´t find any suitable here in Czech Republic! 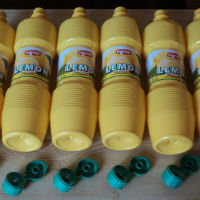 After a lot of thinking the only solution I found was to use these bottles from something called "lemon concentrate". I asked my son to buy six of these - well, he said the shop assistant looked like "why does he need 2 litres of this"? I really liked the process. Everything went smoothly, just couldn´t put the caps back on the bottles at first but fortunately fixed it quickly! 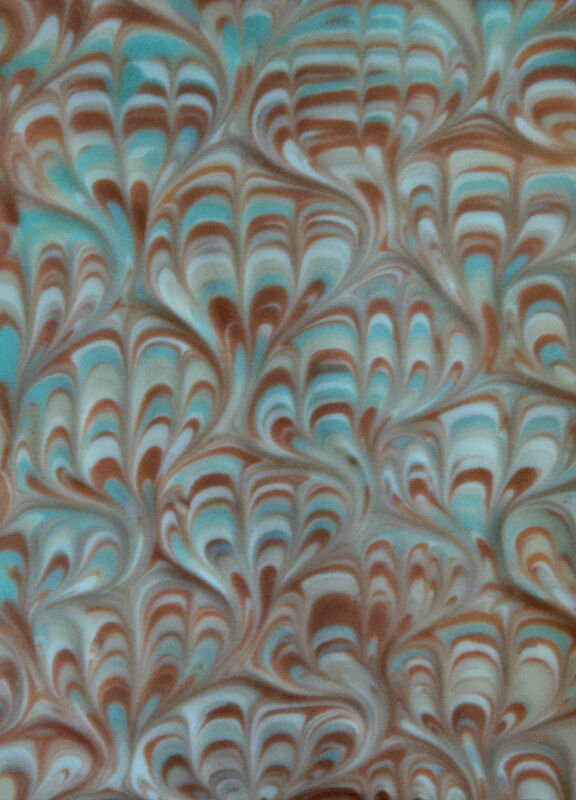 My idea was a turquoise and aqua green soap with orange and white accents. 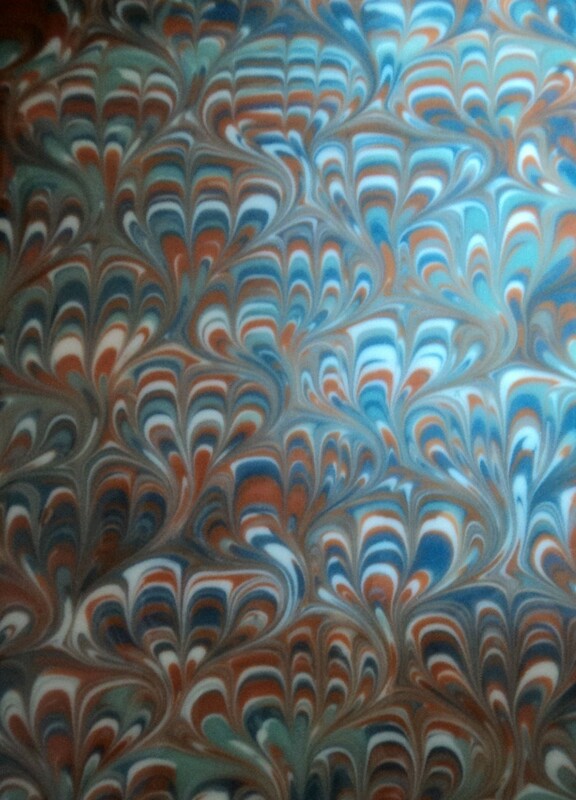 I ran out of green sooner and as you can see after pouring the soap was mainly red and blue. And surprise, the blue disappeared! My first time used blue mica is apparently not stable in CP, morphed to creamy salmon. But I like the look now, it fulfills my idea of a contrasting but decent swirl. 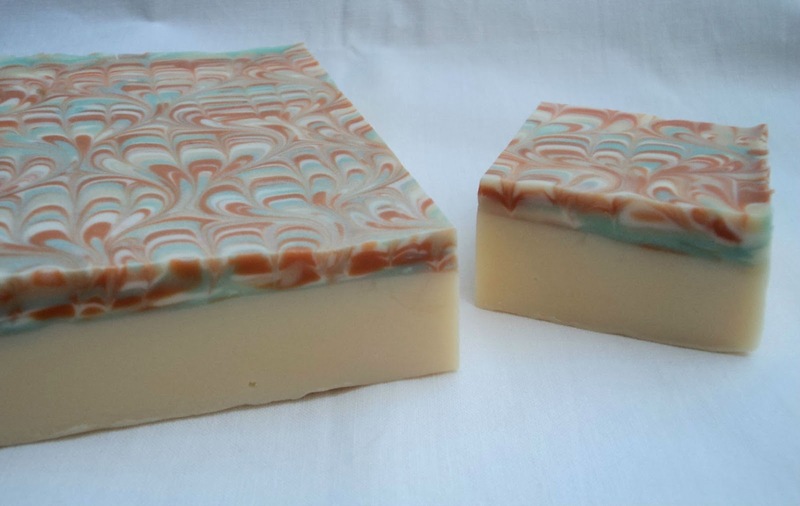 And the scent matches now the design even better. I am pleased with the result and will definitely try this technique again. It was fun to make and I really start liking peacock swirl, already have some new ideas. 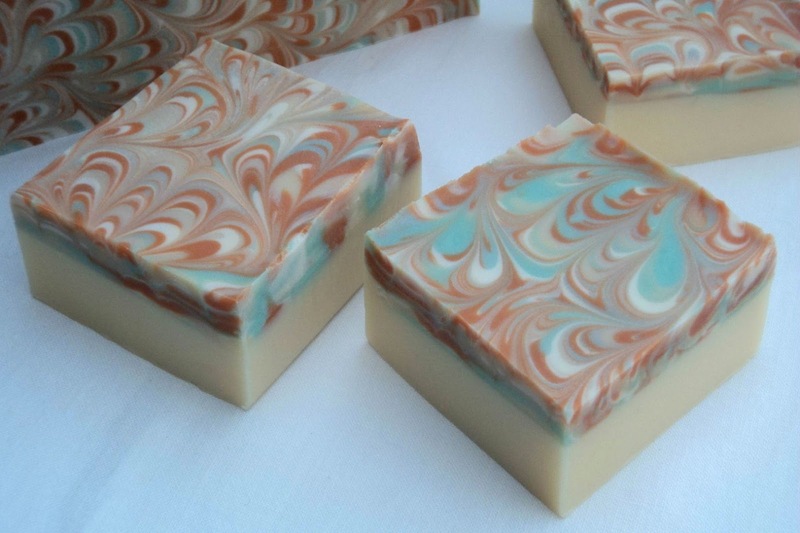 Let´s see others colourful soaps now, can´t wait! Yes, I love homemade lemonade! Summer weather finally starts here after all the cold and rains we got this year. Thank you for your kind comment! Beautiful peacock swirl. I had also blue mica morph and the same mica have changed into purple, pink and salmon. I read about blue mica morphing before, but I never make test batches with new colorants/fragrances, I prefer just to try my luck. Thank you for you comment! Really nice well done. Nothing like a challenge to get the brain juices flowing. Thank you for your comments, I´ve just started to comment on others soaps and love them all!